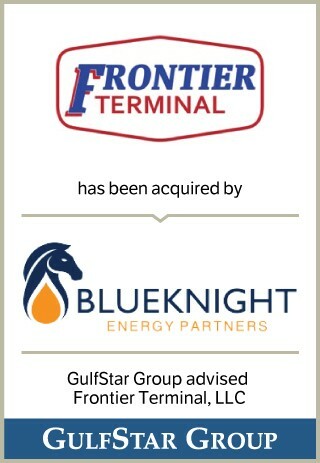 Frontier Terminal is a 245 acre property located near Tulsa and the Port of Muskogee with over 4,300 feet of frontage on the McClellan-Kerr Arkansas River Navigation System. The property consists of a 348,000 barrel liquid asphalt blending, storage and distribution facility, a barge dock terminal and transloading facility with BNSF mainline rail running through the property. At the time of the sale, nearly 200 acres of the property remained available for further development.